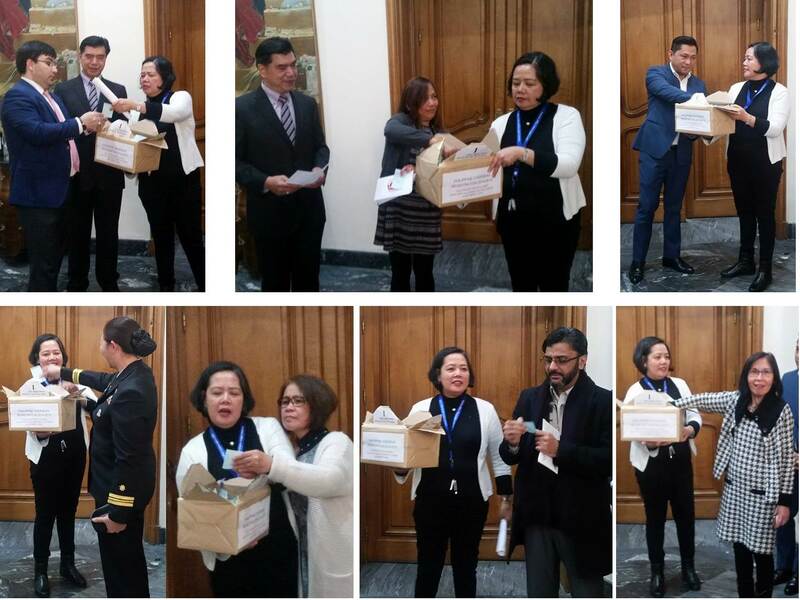 The Philippine Embassy in Madrid held the grand draw of its 2014-2015 Overseas Voting Registration (OVR) Raffle at the Embassy premises last February 4, 2016. The event was attended by the representatives of the companies that voluntarily donated the prizes for the OVR Raffle, as their way of helping the Embassy encourage as many qualified Filipinos as possible to register for the forthcoming elections. During the ceremonies, H.E. Ambassador Carlos C. Salinas once again thanked the Filipino community and the different companies, individuals and organizations which extended their full support for the Embassy’s 2014-2015 overseas voting registration campaign. The Embassy garnered 11,773 new registrants during the said registration period, exceeding by 1,773 new voters the 10,000-target set for it by the Department of Foreign Affairs. Minister and Consul General Emmanuel R. Fernandez (who also serves as the Embassy’s Overseas Voting Focal Person) attributed the success of the campaign to the united efforts of the Embassy, the Filipino community, and the different individuals, organizations and companies that collaborated with the Embassy, for the attainment of their common goal to register as many qualified Filipinos as possible. 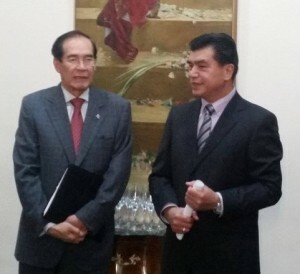 In their messages, both the Ambassador and the Consul General appealed for the same cooperation for the forthcoming 2016 Philippine National Elections through information dissemination and related efforts.